Join us Saturday, December 31st for our annual Light up the Night celebration with added festivities for our New Year’s Eve Party! 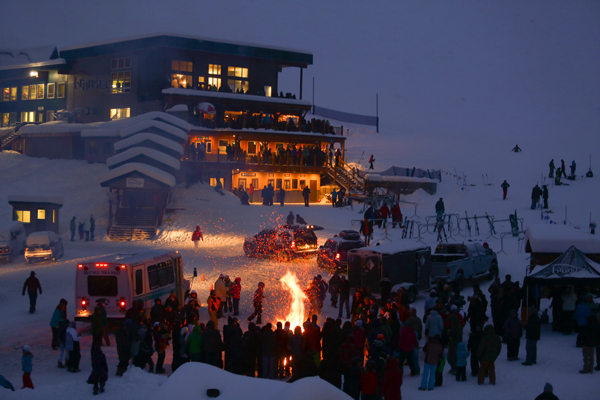 This year’s holiday party will feature a Torchlight Parade, slope-side Fireworks Show, live music, beer tents and family friendly festivities in the “Family Zone” on the top floor of the lodge. Special guests Play Date will keep kids and parents entertained while waiting for the torchlight parade and fireworks! Starting at 4:45 the Family Zone upstairs will boast face painting, cupcake decorating, and kid friendly games. Let your kiddos dance their energy out before the fireworks when the band starts at 5:00. Hot drinks and grab and go meals and snacks will be available at our Main Street Market and Eatery, and the Side Stash Cafe’ will be pouring beer and wine alongside their specialty coffee drinks, with additional food choices for hungry kids and adults alike. As the lifts close, we’ll fire up our gas fire pit and propane heaters at the base area plaza to warm party goers as they sip hot chocolate, cider or beer and wine, all available through our Guest Services beverage window! This year the base area will also boast a costume contest, so put on your funkiest get-up to get down with some pre-funk tunes from our live DJ! Don’t forget to bring your Christmas tree to keep our bon fire near the parking lot stoked! As the night starts cooling down and the festivities start heating up, keep an eye out for the Torchlight Parade to begin at 5:30, followed closely by our wonderful Firework show. The festivities and fireworks are free, and there will be plenty of standing room to watch the light show in the base area, on outdoor balconies or the popular plaza. Feel free to bring a lawn chair if you’d like to relax during the light show and please dress for winter mountain weather conditions! Smoky’s Bar & Grill kitchen will close at 4pm to prepare their special event menu, re-opening at 4:30. Seating preference will go to those who are dining and purchasing drinks. Our new 21+ eatery and bar, The Upper Lot, will also be open during the festivities, with a great view of the fireworks from our tallest deck. We will also offer beer and hot drinks on the first floor deck for those of you enjoying our spacious outdoor seating. 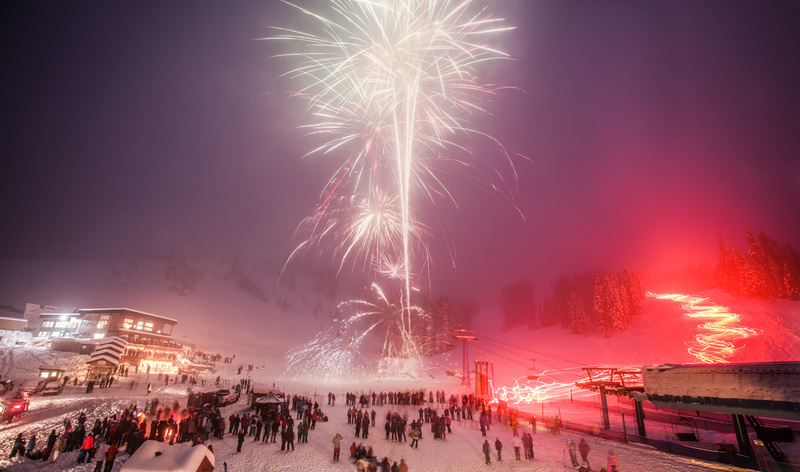 Come ring in 2017 on the Best Snow in Idaho! The Brundage Express (FREE McCall to Brundage shuttle) will offer expanded service for our Light Up the Night celebration. 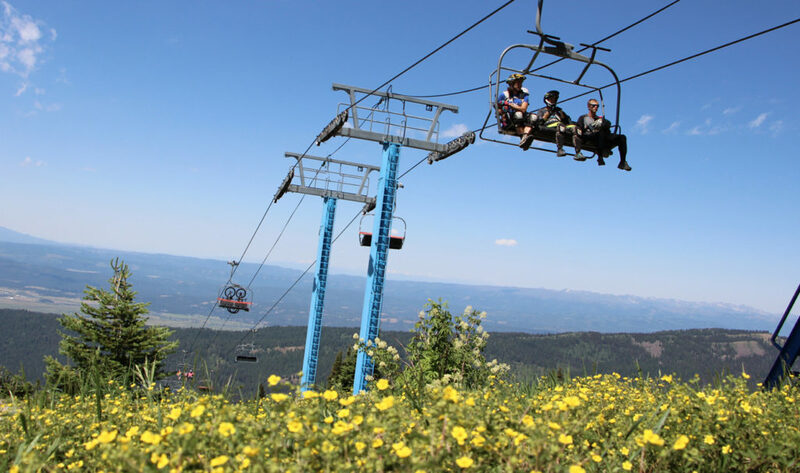 Shuttles will depart Brundage Mountain for McCall at 4 pm, 5 pm, 6 pm, 7 pm and 8 pm. *To sign up to participate in the Torchlight Parade, please e-mail [email protected], and remember space is limited.